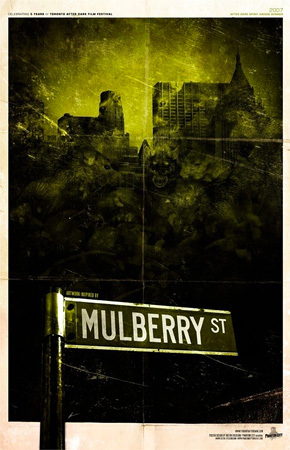 Yet another series of beautiful, custom-designed posters for a few fan-favorite genre cult classics. There's an awesome film festival held in Toronto called the Toronto After Dark Film Festival that runs every late August (the last one just wrapped up yesterday) featuring great genre, horror and sci-fi films as well as a lot of cult classics. Although we're a bit late featuring these, I thought these posters that Phantom City Creative designed for some of the festival's "fan-favorites" were too beautiful not to mention. They made five posters they created for some of the best movies to play at the fest, including Let the Right One In and Dead Snow. Of course, you can buy 11"x17" prints of each of these (although the Let the Right One In is sold out now) for $20 each at Phantom City Creative's store. 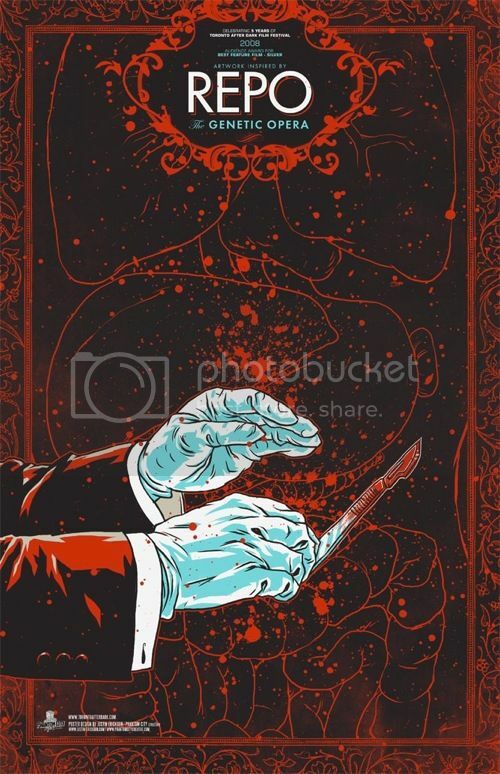 There was also another poster for Darren Bousman's Repo the Genetic Opera that I didn't include (you can see it at that link). Thanks to OMG Posters (via Collider) for first featuring these, as they're pretty awesome and should be exactly what a few guys love. I dig that Let the Right One In poster and I even like the Behind the Mask one, even though I've never seen that movie. Click the posters to buy. I hope everyone enjoys all of these cool posters that we find, and if you do, let us know! Is Dead Snow worth a watch? Been sitting in my queue for quite some time now. ...Shame about the Let the Right one in Poster, I'd buy that without hesitation. 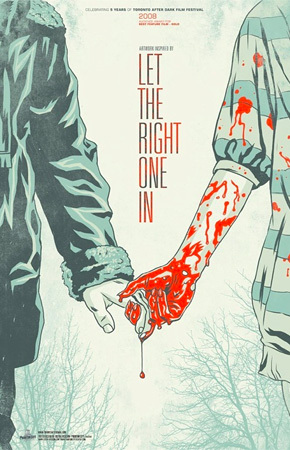 Love the Let the Right One In poster. i don't think these look too good to be honest. LTROI looks the best out of those though. 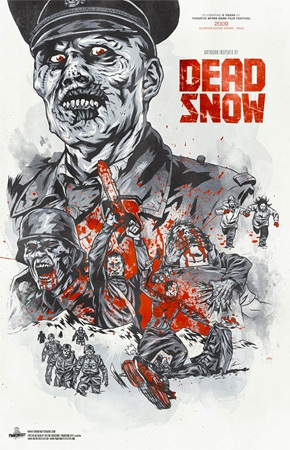 #1: If you like zombie movies then you'll probably like Dead Snow. great posters of dead snow & let the right one in. Behind the Mask was actually a really fun movie. "I have to do a lot of cardio." dead snow was great. it reminded me of evil dead 2 in some ways. Wow! 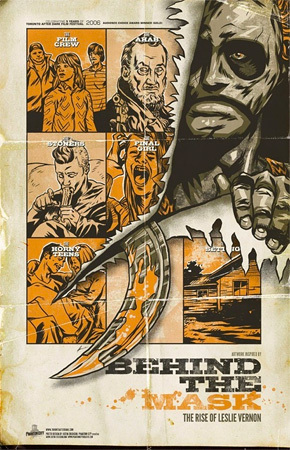 These are some awesome but disturbing posters. I really like the "Let the Right One In" poster. Very cool and creepy! These are all awesome posters and great movies (well not Mulberry Street that much--had promise, but not the goods). why cant i find the artists names anywhere?????? WHO did these posters?